Tonight’s sunset clouds retreated away from me to the horizon. 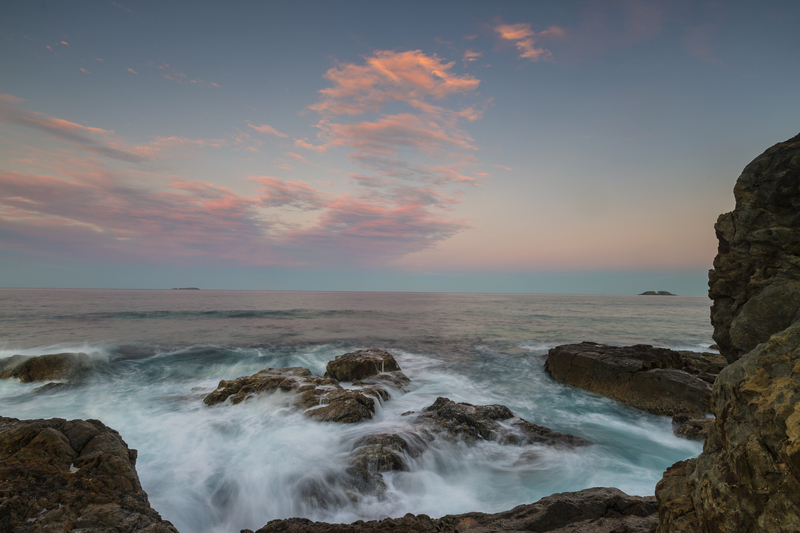 I sat on the far tip of Bare Bluff Headland. 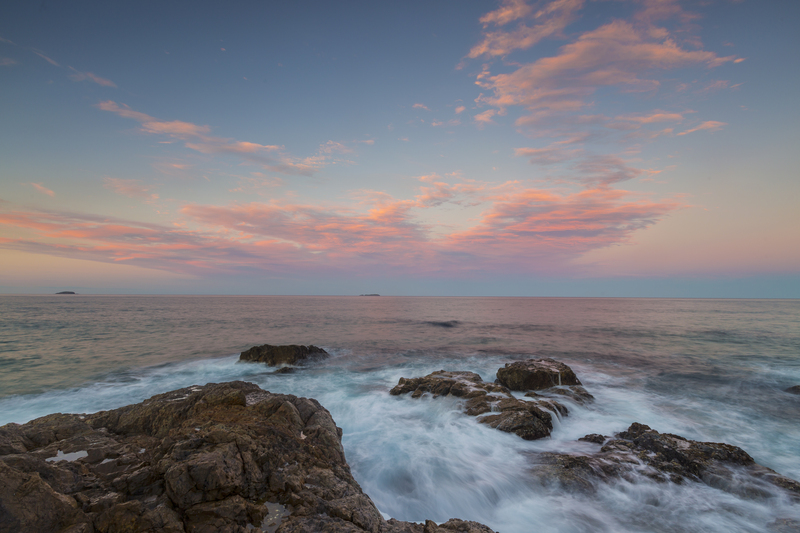 You can see both Split Solitary Island and South Solitary Island in this photo.